Little Rock Air Force Base, Arkansas consists of more than 6,000 acres and one runway. It is located in Pulaski County next to the city of Jacksonville in central Arkansas. Jacksonville has a population of approximately 30,000 people. It is 15 miles north of Little Rock. The base operator's phone number is 501-987-1110 or DSN 312-731-1110. On September 9, 1952, the Air Force announced its decision to build a $31 million medium jet bomber base near Jacksonville Arkansas (abou t 25 miles northeast of Little Rock); construction began on December 8, 1953. By August 1954, the 384th Bombardment Wing (BMW) and 70th Reconnaissance Wing had been selected by SAC to reside at the base. As the two wings awaited movement orders, Col. Joseph A. Thomas (the first base commander) worked with various levels of government on construction of the base. Tragically, Colonel Thomas died in the crash of the base's only aircraft, a C-54 that had been assigned for administrative flying. Finally, on September 10, 1955, the base opened to air traffic. The Air Force officially transferred to Little Rock AFB from SAC to the Tactical Air Command (TAC) on April 1, 1970. 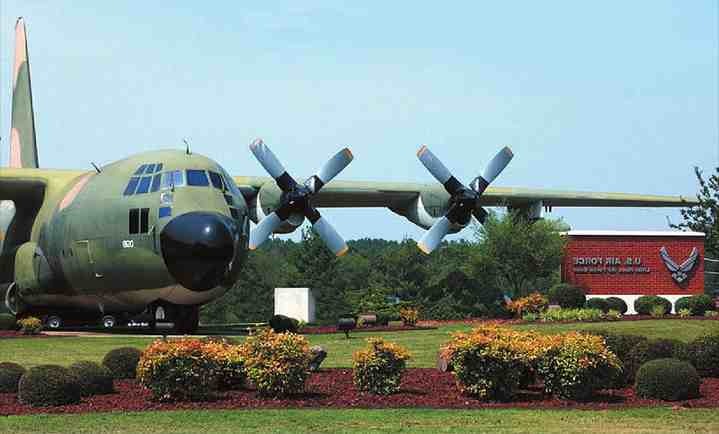 On March 4, 1970, the first C-130 arrived on base and began tactical airlift operations and training. On May 31, 1971, the 314th Tactical Airlift Wing (TAW) transferred to Little Rock AFB. Another major change occurred on base in December 1974, when the Air Force reassigned the 314th TAW from TAC to the Military Airlift Command (MAC). Thus, since its opening in 1955, the base has operated under four major commands - SAC, TAC, MAC and ACC. The base and its mission remained primarily unchanged until August 1987, when the 308th SMW was inactivated. The 314th TAW remained the host unit, supporting global airlift and providing primary C-130 training for U.S. aircrews as well as crews from friendly foreign nations. In June 1992, the 314th AW was aligned under the newly formed Air Mobility Command, the successor to MAC. Then again in October 1993, the 314th AW transferred to Air Combat Command (ACC). On April 1, 1997, the 314th AW transferred to the Air Education and Training Command (AETC). For more information, please Little Rock AFB'shomepage. Little Rock Air Force Base is the home of the 19th Airlift Wing, the host unit that reports to Air Mobility Command. Two tenant units, the 314th Airlift Wing and the 189th Airlift Wing (Arkansas Air National Guard) report to Air Education and Training Command. A third tenant unit, the U.S. Air Mobility Weapons School reports to Air Combat Command. The combined efforts of these units allows Team Little Rock to deploy and train the world's best C-130 Combat Airlifters. The 19th Airlift Wing is composed of four flying squadrons-the 41st, 50th, 53rd, and 61st Airlift Squadrons. The 41st is the Air Force's first active-duty combat-ready C-130J squadron. These squadrons are operational and deploy throughout the world. The 913th Airlift Group is composed of one flying squadron, the 327th Airlift Squadron. The Airlift Squadron is associated with the 913th Airlift Group for operations but is administratively controlled by the 19th Airlift Wing. These squadrons are operational and deploy around the world. If you arrive by commercial airline, you will land at Bill and Hillary Clinton National Airport which is approximately 20 miles from the base. Transportation is not provided to the base. If you drive from the Airport, you will need to take Loop 440 North (toward Jacksonville) to Highway 67/167 North to Jacksonville. Then you would take exit #11. Next, turn left and drive approximately 2 miles to the main base gate. From Interstate 30 or 40, take U.S. Highway 67/167, exit # 155, to the air base. When you reach Jacksonville, take the air base exit #11 to reach the main gate. You can stop at the Visitor Center at the gate to get a base map and talk to them about directions to your desired locations. After leaving the main gate, drive down Vandenburg and take the first left on to Arnold Drive. You will pass the base shoppette / gas station on the left and go through the traffic light. The large brick building on your left is the new Walters Community Center (Bldg. 940) which includes the Library, Recreation Center, and the Airman and Family Readiness Center. 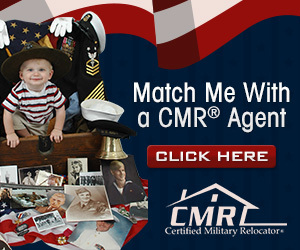 No listings found for Little Rock Air Force Base.